Ci spiace, ma questo articolo è disponibile soltanto in Inglese Americano. Per ragioni di convenienza del visitatore, il contenuto è mostrato sotto nella lingua alternativa. Puoi cliccare sul link per cambiare la lingua attiva. On September 1, 2016 I entered my office at KU Leuven for the first time. I was starting a 3-year scholarship, which is now half-way over. I was still struggling to turn on my computer, when an old professor (whom I now really love) stormed in, and briskly asked me who I was. When I said my name, he immediately added: “And where are you from?” Eventually, the conclusion of his syllogism was quite natural: “Italy, again!! !” The old professor was right. The number of Italians at the Institute of Philosophy (and in Leuven, in general) is quickly growing. Not just students in Erasmus, but also Ph.D. candidates and young researchers, like myself. At least 90% of the prejudices regarding Italians are actually right. We are clearly louder than other people, we like to hang around, and to speak our language, even in the presence of foreigners who are normally too polite to interrupt us and re-establish the Koine English. Personally, I’ve always sincerely loathed all these habits. On holidays, I’m the one who pretends to be from somewhere else, every time I stumble upon flocks of Italian tourists who are looking for the closest pizzeria. This did not prevent me, however, from pinpointing in record time the best pizza in Leuven (it’s ‘Mangia e Via’, in the Parkstraat), and to get friendly with the owner, who 50 years before me also emigrated. By the way, both his sons are lecturers at KU Leuven. I do not want to linger on the causes of this new Italian diaspora. It is, indeed, quite a sad story – not so much for those who emigrate, as I think that working in international centers such as KU Leuven is actually a very good opportunity for young scholars. It is sad for Italy, whose university system, after years of financial cuts and bad governance, is unable to sustain a new generation of researchers, who could possibly succeed in improving things. This situation of course also has comic aspects, as when, for example, the former Italian Minister of Universities and Research, Stefania Giannini, more or less one year ago, wrote on Facebook how proud she was that the Italian academy led 30 Italian researchers to win ERC consolidator grants. One of the grant holders replied sharply to the Minister, emphasizing that more than 50% of these researchers were working in (and bringing money to) universities outside of Italy, and not because they chose to, but simply because finding jobs in Italy was rather impossible. More recently, the Italian Minister of Labour of Social Policies, Giuliano Poletti, was less indulgent than his colleague, when he publicly said that he personally knows lots of people who left Italy, and that this is for the best, since they were a bunch of jerks. He also added that not all of the 60 million people who still live in Italy are bad people. This is indeed very encouraging. Given that the Italian contingent at KU Leuven, and specifically at the Institute of Philosophy, is expanding, I think that we should take advantage of this phenomenon. It is not only the number of Italians that is growing; it is also an interest in Italian philosophy and culture. Italian is the fourth most studied language worldwide, after English, French, and Spanish. This fact is particularly remarkable, considering the lack of practical reasons for deciding to learn Italian. The reason for this success is probably the widespread passion for the many forms of Italian culture, amongst which is its philosophical tradition. In my experience as a foreign visiting scholar in Czechia, the UK, and Belgium, I have always met students who asked me for advice, as they intended to learn Italian, in order to be able to read Agamben, Esposito, and Negri, but also Leopardi, Vico, and Machiavelli. This genuine interest deserves to be fulfilled. In this sense, the presence of scholars who can contribute to the spread of knowledge of Italian philosophy should be seen as an important asset, and not as a sort of folkloristic extravaganza. I therefore applaud the initiative of Prof. Stefano Micali and Prof. Andrea Robiglio to promote a series of lectures on Italian philosophy, starting this year (see their contribution to this Newsletter). I think this will be a very good opportunity to deal with topics and problems that reveal the complexity of the Italian philosophical panorama, and also to encourage people to realise new translations and editions. My hope is that this initiative will soon translate into something more, such as the creation of a yearly course on “Italian Philosophy” at KU Leuven, which I am sure would be very successful. 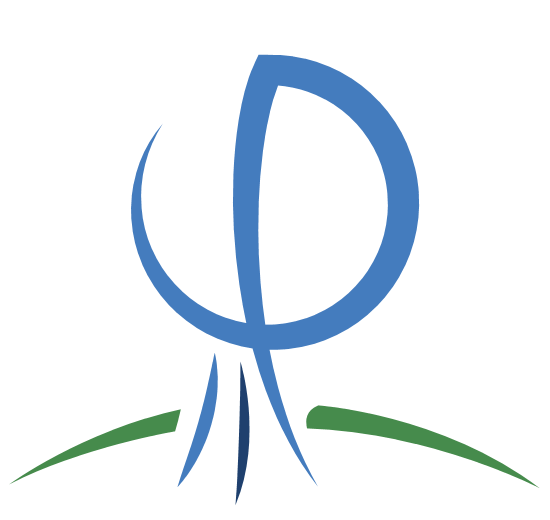 Another modest contribution to the spreading of Italian philosophy is the research blog “Scuola di Milano” (sdm.ophen.org), which I have recently started, together with other colleagues in Italy and abroad, with the generous support of the Open Commons of Phenomenology. The “Milan School” emerged in the early 20th Century, further developed throughout the following decades, survived the year 1945, and eventually flourished after the Second World War. In particular, we decided to focus our attention on Antonio Banfi and Enzo Paci, in light of their work as mediators of Husserl’s thought in Italy. Phenomenology constitutes, indeed, a privileged gateway to the reflections of these authors. Besides the theme of phenomenology, another aspect that emerges in the reflections of these philosophers is the civil commitment which went along with their philosophical research. Banfi’s stance against fascism – although involving some ambiguities, which we will aim to explore – highlights a sort of political direction within the Milan School. The decision by many other members of the Milan School to embrace socialism and communism flowed from this political stance. Indeed, both Banfi and Paci showed, in different times and in various fashions, a keen interest in the socialist project, which was shared by other fellow scholars and students, like Giulio Preti and Remo Cantoni. 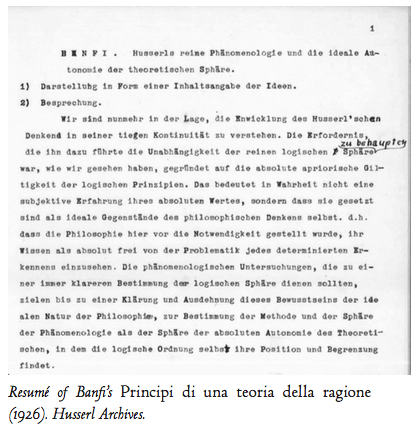 In order to better understand the tight bond between the Milan School and the phenomenological tradition, the blog intends to investigate the personal relationship between Banfi and Husserl, Banfi’s attempt to introduce Husserl’s early works (from the Philosophy as a Rigorous Science to the first volume of the) to Italy, as well as Paci’s reinterpretation of some cornerstones of the phenomenological discourse, such as the ideas of life-world and human praxis. The figures of Banfi and Paci also help to debunk the myth of the marginality and provincialism of twentieth-century Italian philosophy. Whilst, in fact, Banfi had the chance to study in Berlin with Simmel, and soon became a correspondent of Husserl’s, Paci’s work in the phenomenological field was well known in France, in Central and Eastern Europe, and even in Leuven. These philosophers, as well as their many students, looked at the European philosophical debate with an open mind, beyond any narrow limitations set by their national panorama. This is one of the reasons why they still deserve attention today, in Italy and abroad. I mentioned Paci and Leuven. This brings us back to where this piece started. Enzo Paci was hosted at the Husserl Archives in 1960, which shows how the link between Italian academia and KU Leuven is nothing new, but has deep roots in the history of phenomenology. During his visit, Paci wrote a very meaningful note in his diary. “I am completely seized by the élan of Husserl’s analysis. Things change in my very hands, and the world reveals new faces, which no one has ever seen. I myself am transformed, become somebody else. Yet, there is in all this something I do not control: a deep affinity, an Einfühlung between me and these Manuscripts. It is the Einfühlung between me and Husserl, who returns alive, in a way that amazes me, and also frightens me a little” (Leuven, 7th April, 1960). I hope this brief note can serve as a point of departure for new investigations. And I also hope that a younger generation of Italian scholars in Leuven can help to make these investigations come alive. Except for all images and where otherwise noted, contents are licensed under a Creative Commons Attribution-NonCommercial-ShareAlike 4.0 International license.